Ashworth Men's Melange Pima V-Neck Sweater Vest The Ashworth Men's Melange Pima V-Neck Sweater Vest provides lightweight layering with high-gauge knit construction for added comfort and a soft hand. 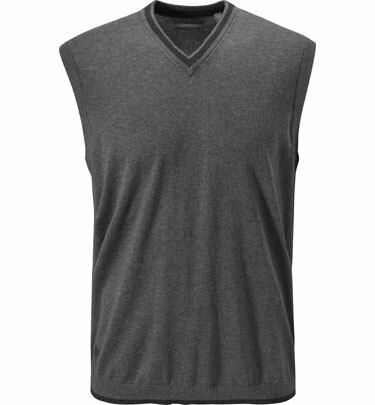 This V-neck sweater vest is constructed of 100% pima cotton and comes with contrast tipping at the neckline and hem. The Golfman log is embroidered on the right bodice.